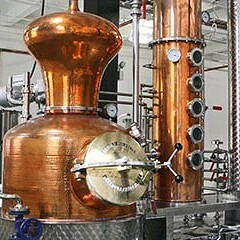 We've been secretly distilling and nobody knew," Adam Smith says. He's mostly joking: Maplewood Brewery & Distillery hasn't exactly been hiding the distilling side of its operation. (It's right there in the name.) 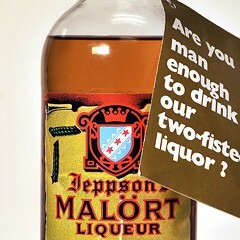 But in the nearly three years it has been making spirits, it hasn't released a single one. Aside from festivals where Maplewood has poured tastes of its whiskey, rum, and gin, the public has never had a chance to taste any of them. With the opening of Maplewood Lounge on December 15, that's about to change. "To show people what we've been doing—it's pretty exciting," says Smith, Maplewood's brand manager and one of its brewers. 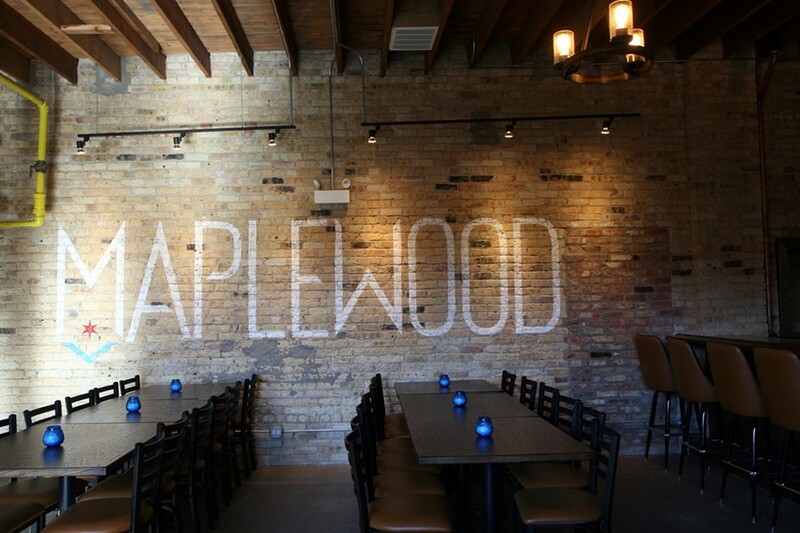 While there are plenty of breweries and distilleries in Chicago, Maplewood is the only operation that does both. (Outside the city, both Two Brothers and Three Floyds breweries are building distilleries, but neither has opened yet.) 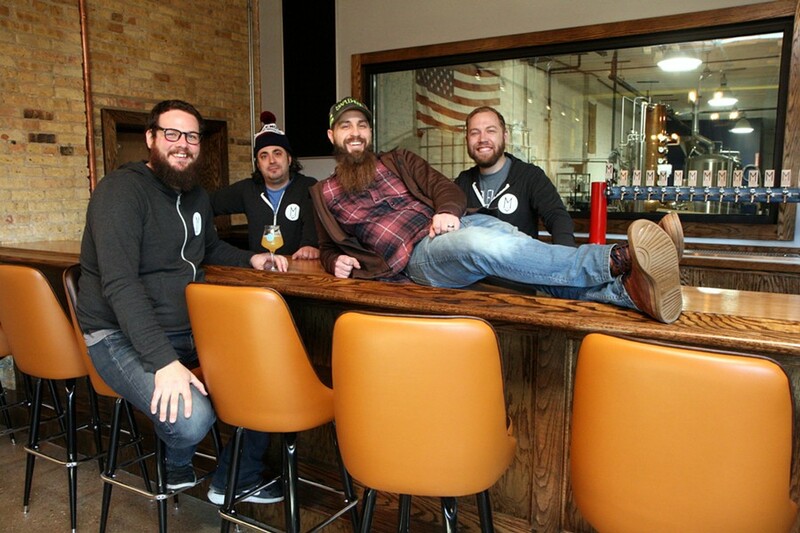 Owners and longtime friends Ari Megalis and Adam Cieslak were home brewers before opening Maplewood with Megalis's brother Paul in October 2014, launching with two beers they'd perfected over years of experimenting: Fat Pug milk stout and Charlatan pale ale. 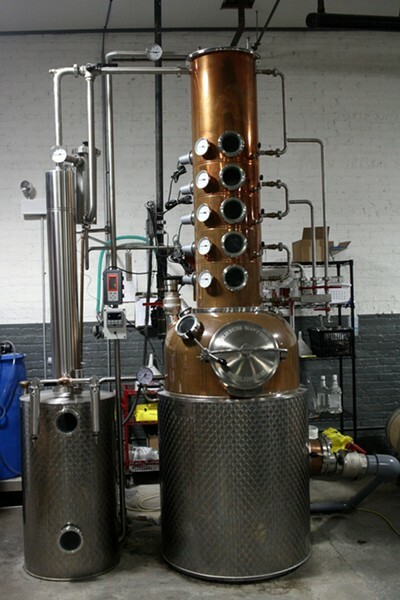 They began distilling almost immediately, Megalis says. "Any time we had an extra tank we'd distill a whiskey, put it in a barrel, and [figure] we'll worry about it a couple years from now." That time has come. Maplewood Lounge will offer three whiskeys, a rum, and a gin along with the dozen beers on tap. 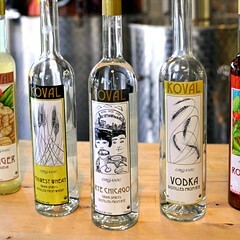 They'll be serving cocktails as well, a perk of distilling on-site; unless they've been granted a full tavern license, Illinois breweries and distilleries are only allowed to sell alcohol they've made themselves. At the end of the bar, not far from the 14 taps (two will be dedicated to cocktails), is a large hole in the wall—but it's intentional. Maplewood's neighbor is a catering company that's developing a menu for the lounge, so burgers, cheese curds, fries, and other comfort foods will soon be coming through the pass. While it's called a lounge, Maplewood doesn't offer much space for lounging: there are a couple long, low tables, several taller ones, and bar seating. It's a simple, straightforward setup, comfortable and free of frills. That concept applies to the drinks as well as the space. "We like simple," Smith says. "I think with the recipes, front of house, back of house, everything's simple." Of the brewery's focus, Megalis says, "The main thing we all like is a nice, drinkable beer. The majority of the beer [we make], we like it to pass that test." 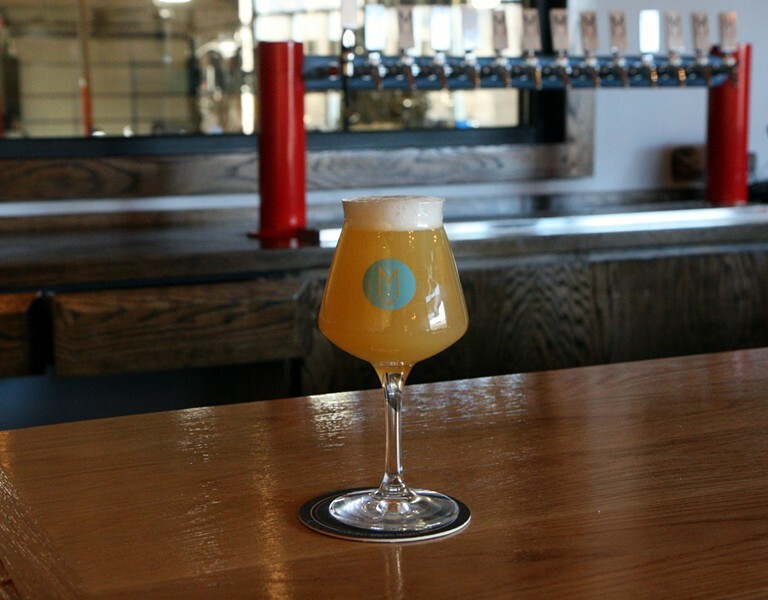 For about the first six months that Maplewood was open, it made only the two beers it launched with, Charlatan and Fat Pug. Those are still part of the core lineup, which now additionally includes Son of Juice IPA and Pulaski Pils, and will be joined in the taproom by several more pale ales, a couple of brown ales, a lager, and a gose. Beer likewise figures in all the cocktails, which are being developed by Matt Frederick, a bartender who most recently worked at EZ Inn and developed the cocktail program at Mi Tocaya Antojería. At Maplewood he runs the taproom and works on the distilling side of things—which also involves beer. The Fat Pug malt whiskey begins with the grain bill for Fat Pug milk stout, optimized for distillation by leaving out the hops and lactose and tweaking amounts for some other ingredients. 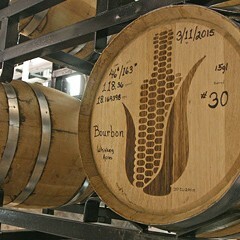 Two more whiskeys, which are still aging, are inspired by an Oktoberfest and a sour pilsner. One of the two slushies on offer, the Pug Slide, is a take on a Mudslide involving both Fat Pug white whiskey and the milk stout itself, plus chocolate, coffee, and coconut milk. A draft cocktail called Fizzy Pants features gin, a syrup made with Son of Juice Pants IPA, and orange oleo saccharum. The road to opening the tasting room has been long—and at the same time, surprisingly quick. Megalis says it took 490 days to get the permits to build it (though he's quick to add that some of the delay was on their end). But once the permits were approved, the build-out took just two months. 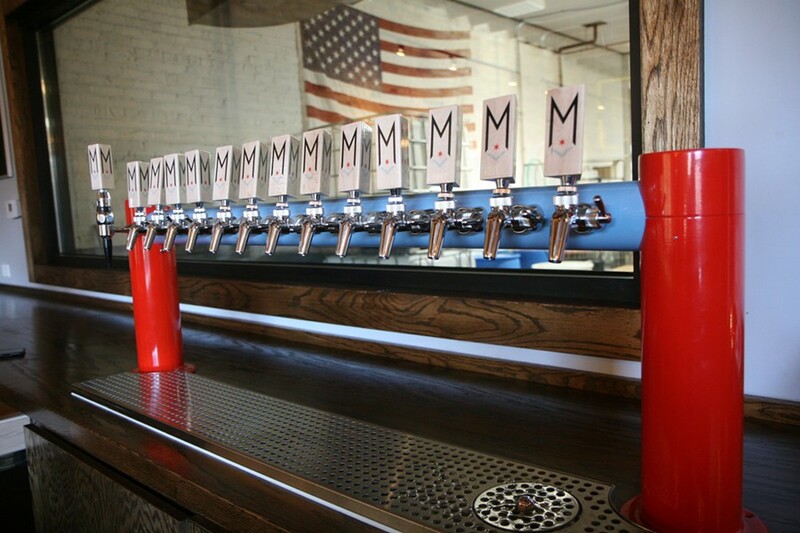 "We've been wanting to have a taproom since we opened," Smith says. "It's just that we now got around to opening it." 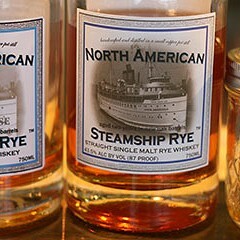 There are only a handful of malt rye whiskeys in the U.S., and one is made just outside the Chicago city limits.